Treatment: Treatment should be done in a separate tank. First step is to move the affected corals to a separate tank. Dip the coral with Revive or Lugol's Solution for 5 -10 minutes. 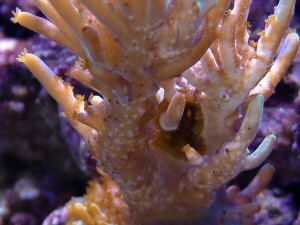 While the coral is being dipped, take a turkey baster and blast the coral, this will help to remove the flatworms. Do this for approximately 5 -10 minutes. 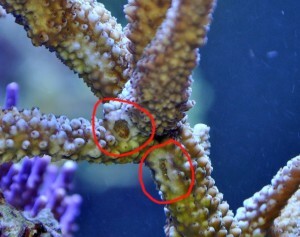 After 5 -10 minutes, remove coral and rinse the coral with clean saltwater and return to tank. Repeat every 4-7 days until no more flatworms are found. 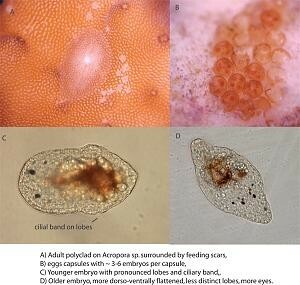 Some wrasses will also eat the Acropora Eating Flatworms. 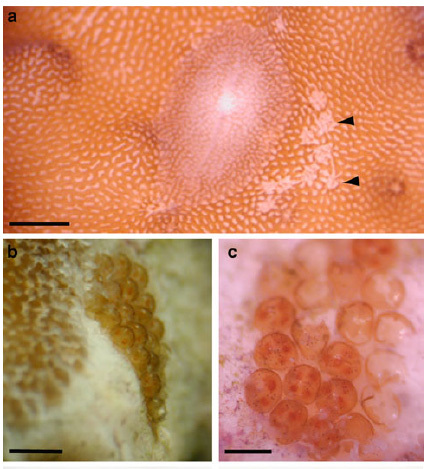 Identification: The easiest way to recognize whether or not you have AEFW is to look for bite marks and eggs around the base of your acropora. AEFW are hard to detect since they camouflage themselves against the host coral quite well due to the ingestion of coral tissue and zooxanthellae. They are also very small. Prevention: Dipping and quarantining your Acropora are the best ways to prevent these flatworms from destroying your Acropora. 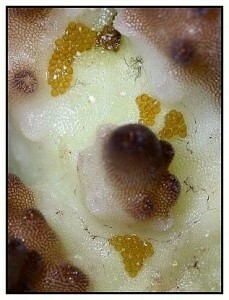 Also look for eggs, which should be scraped off.